Titles have always been difficult for me to write. It seems like everything everywhere needs a title, but I am not the best at creating them. Every Easter play I’ve written has come together incredibly fast . . . the words and ideas just seem to flow . . . I end up writing late into the night until it is finished . . . I bring it to our first play practice of the season . . . I hand out parts . . . we begin to practice . . . we get close to the performance date and then it happens. I am asked point blank, “What is the title of the play?”. The title. Right. Can I get back to you on that? In fact, when we performed (what would later become known as) Behind the Scenes it was publicized as The Untitled Play. I figure if Chris Rice can have his Untitled Hymn, I should be able to have my Untitled Play! But really, why are titles so hard to write? Even now, as I stare at the screen in front of me, three words jump out: Enter Title Here. Seriously? I can’t even get away from having to come up with a title on my own blog??? Anyway, the whole idea of titles has been on my mind lately, so I decided to try to figure out why I have such an aversion to them. Here is what I have decided. 1) Titles can be limiting. I don’t know about you, but when I look at a title, I automatically have an idea of what to expect in that book, movie, song, etc. If the title doesn’t appeal to me, why would I want to proceed with the actual product itself? I form an opinion based solely on the title. This is often an opinion which ultimately ends up limiting my experience with the product. Isn’t that the way it works with people, too? We place a title on someone and then all we can see is that title. It is difficult to get past the title to see what is on the inside of the person. Our experience with that person is limited because of our reaction to the title. If the first thing parents say to me when I meet their child is, “My child has ADD (or ODD or any other combination of letters)”, it can take great effort to see the child for who he or she really is apart from that title. People should not be defined by man-made titles. Titles can be limiting. 2. Titles can be misleading. Have you ever picked up a product because the title made it sound wonderful only to discover that the title didn’t even come close to defining the product? In my opinion, the sole purpose of a title is to define the product in as few words and as catchy a way as possible. That’s a difficult task. Very rarely will a product meet every part of the expectation associated with the title. Yet, if the title is catchy enough, it is quite possible that someone might dive right into the product, not realizing that the title itself was designed to mislead. Why would someone do that, you ask? Why would someone purposely construct a title designed to mislead as many people as possible? Delving into that subject will have to be left to some other time, but let me remind you that “Satan himself masquerades as an angel of light” (see 2 Corinthians 11:14). Yes, titles can be misleading. 3. Titles are just that — titles. I think sometimes we put too much emphasis on the title. We think that if the title isn’t great, the product isn’t either. Or, we think that if the title is outstanding, so is the product. Even worse, we begin to think that if we can’t come up with the perfect title, our product is destined to fail. But that just isn’t the case. We really shouldn’t equate a title with the product. The product is so much more than what can be defined in one simple title. Again, that’s really what it is like with people. We might have a particular title associated with us, but we all know that we are so much more than that title. The title really just describes a part of us — it can by no means define who we truly are — that is, who we are on the inside. No man-made title can do that. Titles are just that — titles. And so here I sit trying to think of yet another title. But this time the title is even more personal. This time the title is for me. How would I define myself in as catchy a phrase as possible? What is my most defining title? To answer that, I must begin by asking “Who am I?” Well, I am a wife, a mom, a volunteer, a Christian. I can’t even begin to define myself by one simple title. Let me get more specific. 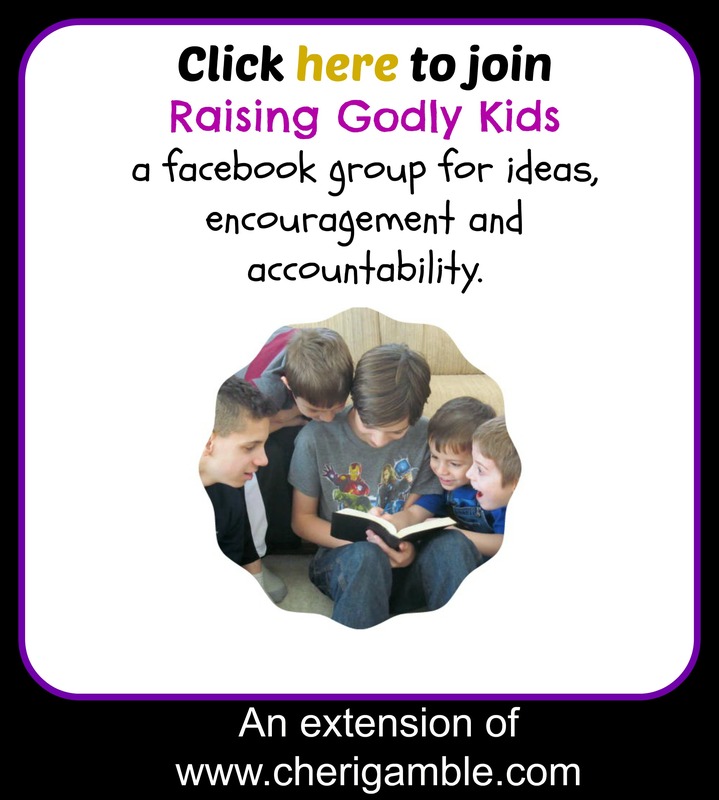 I am a pastor’s wife, a homeschooling mom, a Pregnancy Care Center volunteer, an Evangelical Christian. By getting more specific, I have also become more limiting. I am sure there are several thoughts running through your mind about me based on the titles I have just written. But there is so much more to me that you will never get to know if you can’t get beyond those titles. I must try to come up with my most defining title — the title that I want to have the strongest association with me. To get to that point, I must think of who I truly am. Who am I on the inside? No one really knows every part of me . . . no one can give me my most defining title. No one, that is, but God. God knows me . . . every part of me . . . and He still loves me and wants to have a relationship with me . . . so I’ll gladly take my most defining title from him. My most defining title, the one that I want to be associated with me long after I am gone is this: I am a child of God. What about you? What’s your most defining title? Not to add any pressure (ha! ), but titles are really important for search engines too. Your title has to use words that people are likely to use when searching for information on the topic. Otherwise, Google won’t be able to figure out that the article is relevant to show it to them. In addition, the title has to grab people and make them want to click and read your article instead of the other search results.